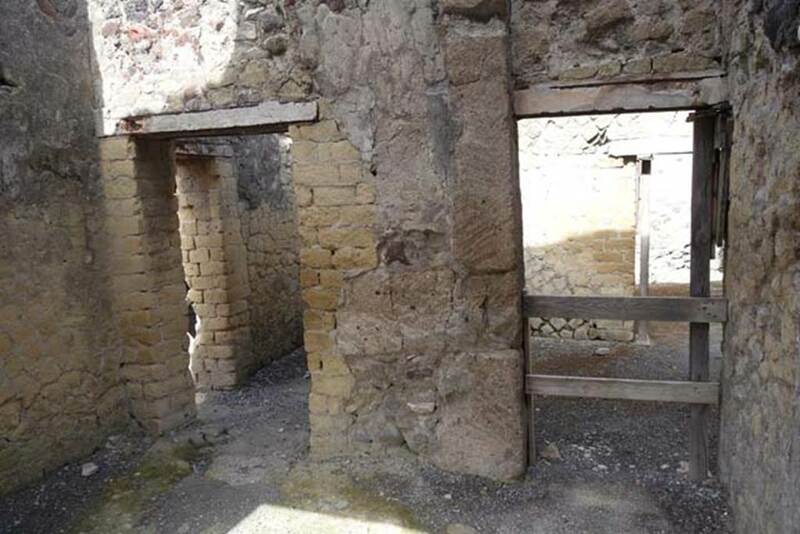 Herculaneum III.18. 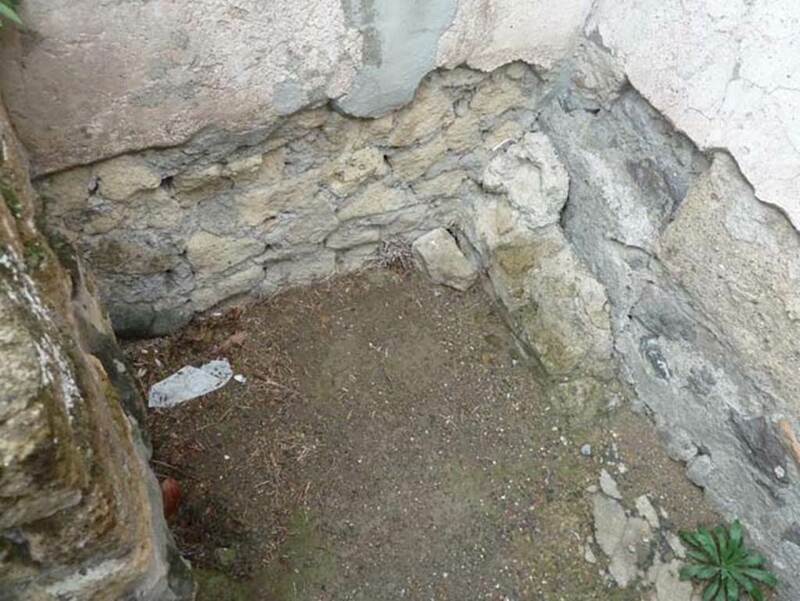 Doorway linked to III.19, and III.1, and 2, Casa dell’Albergo. 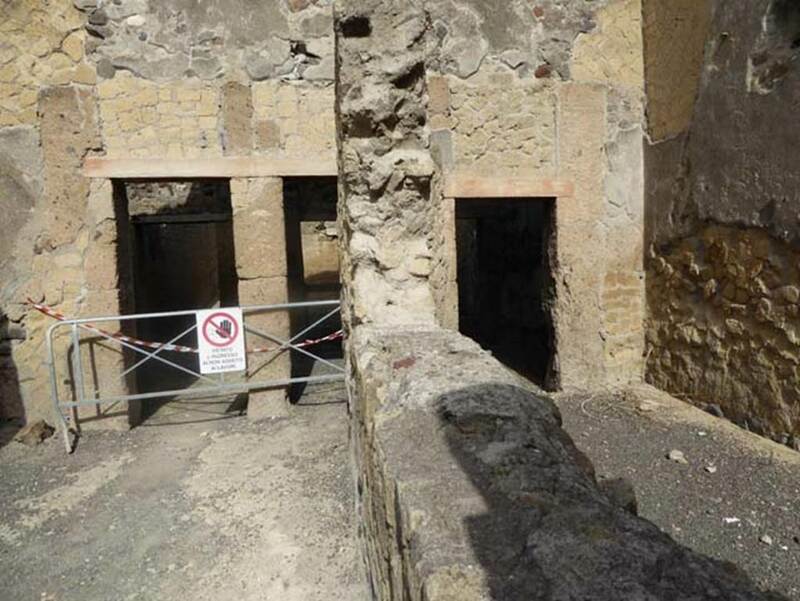 According to Wallace-Hadrill, this had been a previously separate unit comprising of approximately six rooms, and then amalgamated into the Casa dell’Albergo. 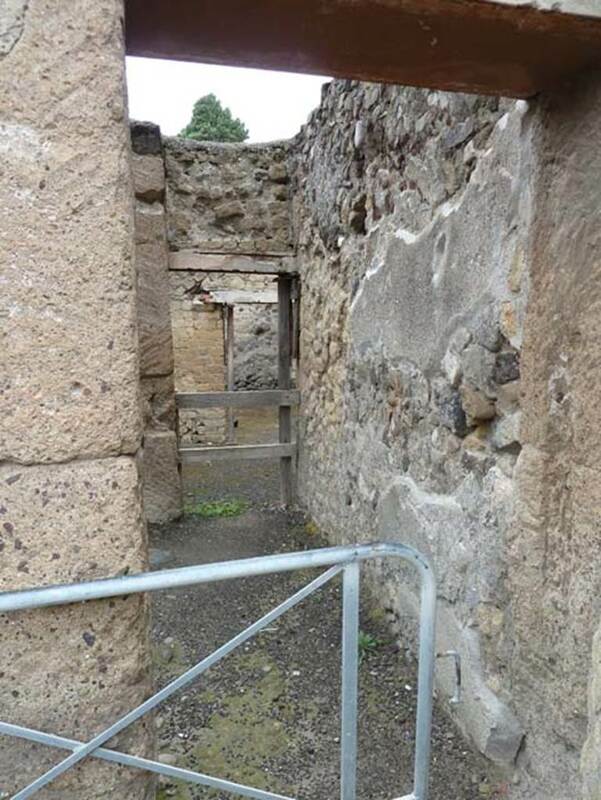 Entrance doorway on Cardo IV Inferiore, looking west. 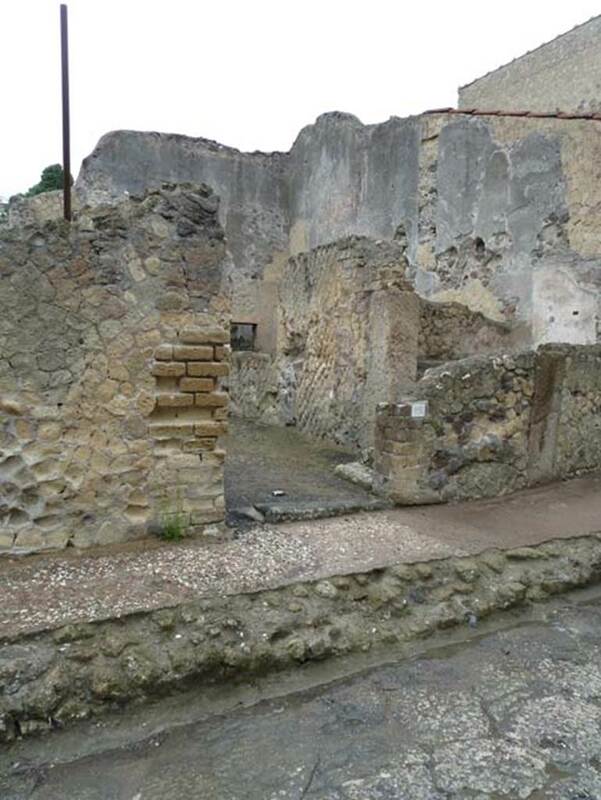 III.18 Herculaneum, September 2015. Looking west to entrance doorway towards rooms in north-west corner. 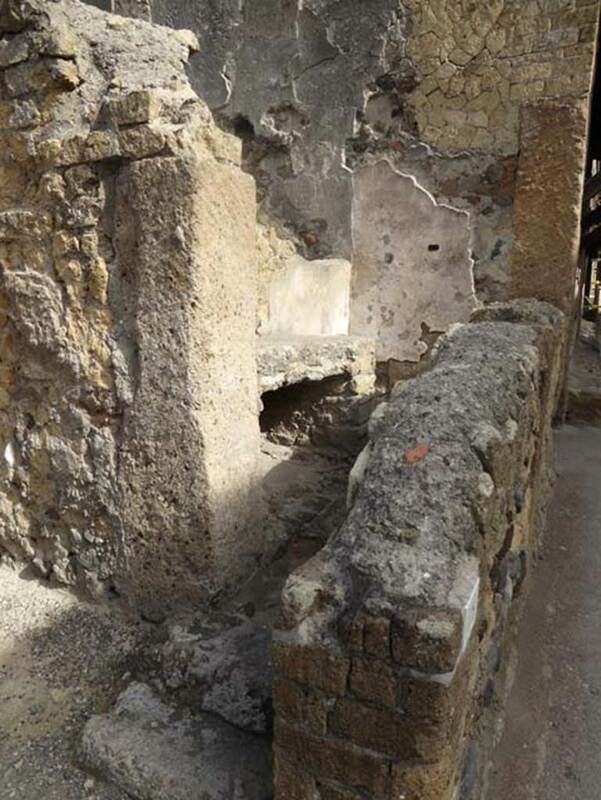 III.18, Herculaneum, October 2014. 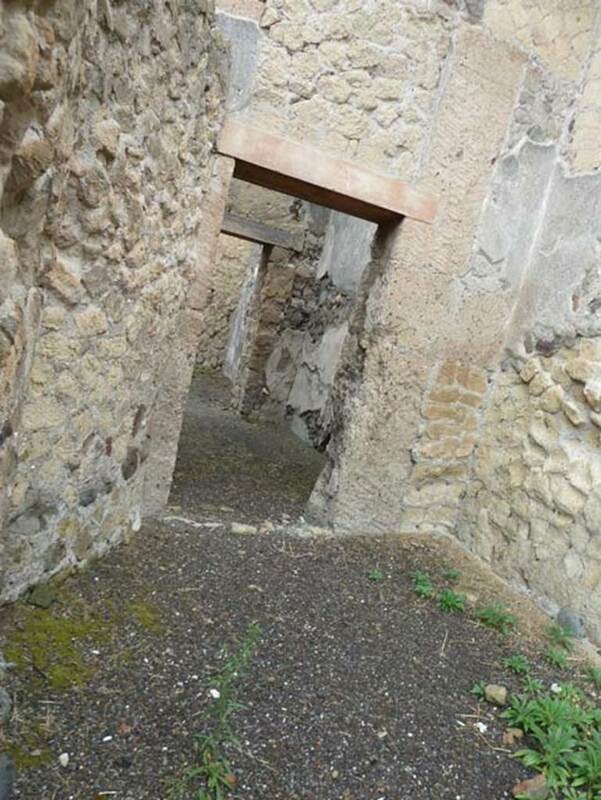 Looking west towards entrance doorway, from Cardo IV Inferiore. III.18 Herculaneum, September 2015. Threshold of doorway. 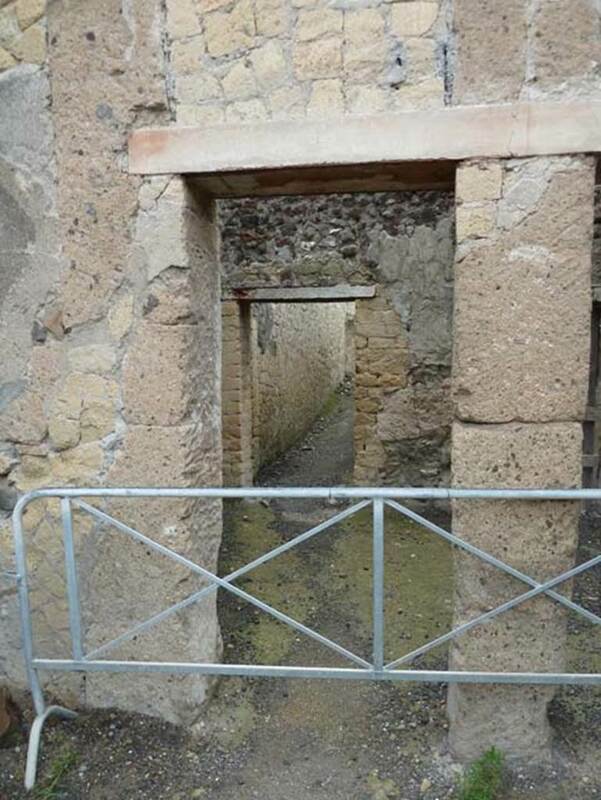 III.18, Herculaneum, October 2014. West end of entrance room 37, on left. Doorway to rear room 39. from room 38, on right. 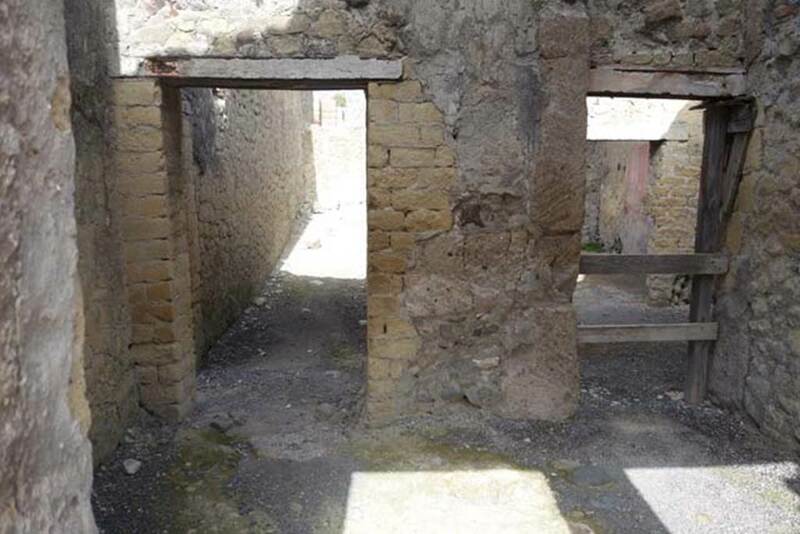 III.18, Herculaneum, October 2014. Looking towards room 38a on north side of entrance doorway. 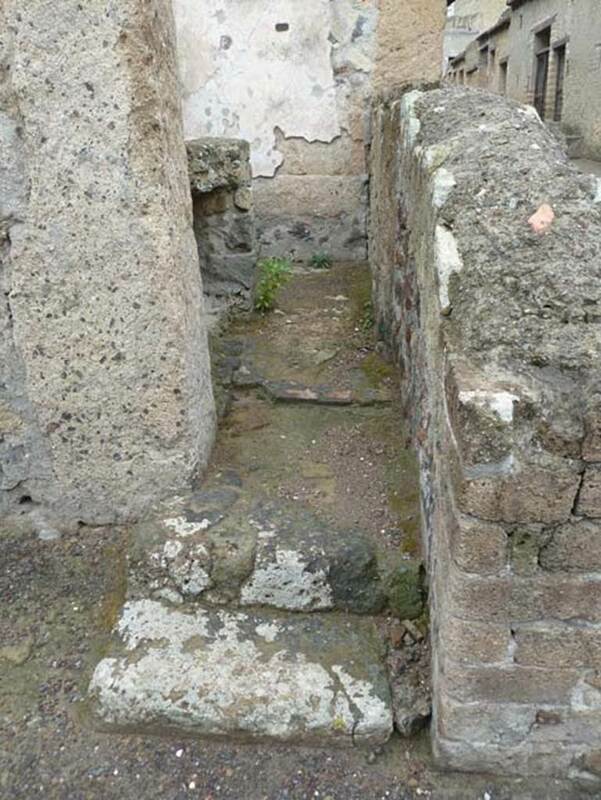 Looking north to steps to doorway of small room/kitchen 38a, in north-east corner of room 37..
III.18 Herculaneum, September 2015. 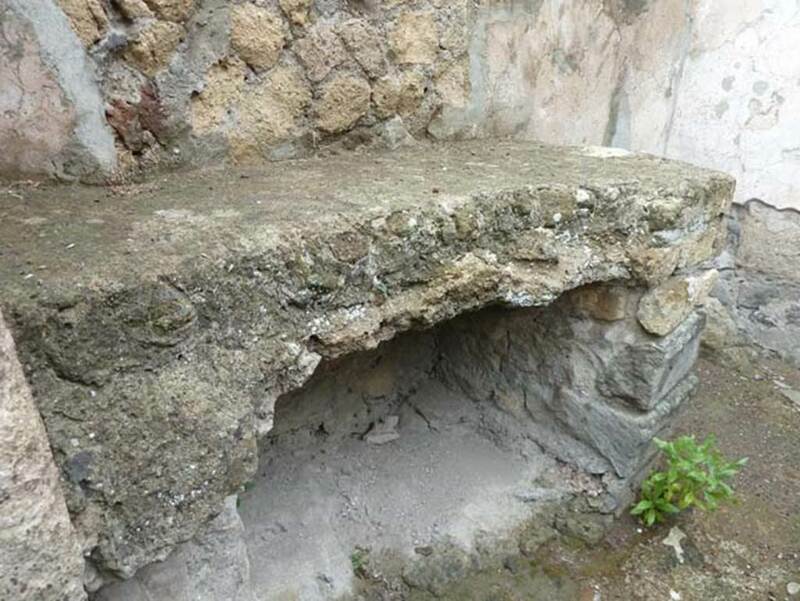 Bench/hearth in small room 38a, kitchen. 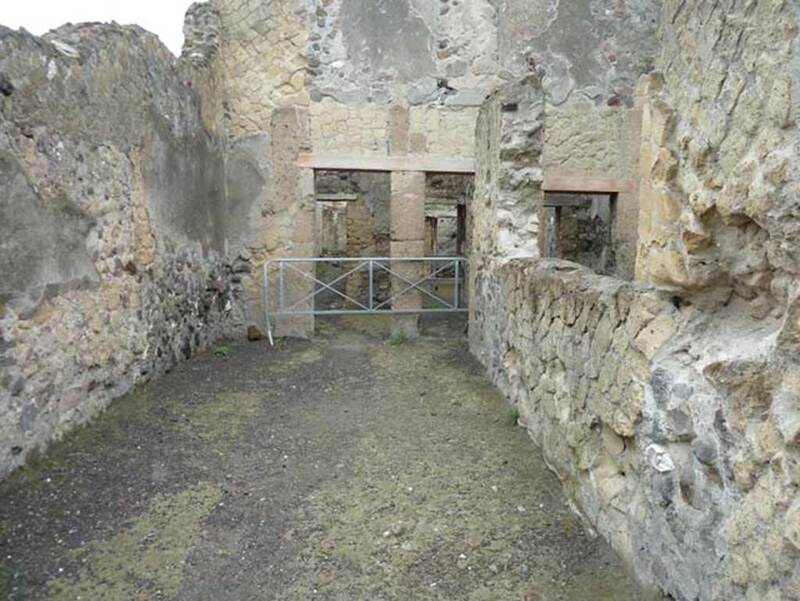 III.18, Herculaneum, October 2014. Looking towards bench/hearth in kitchen. 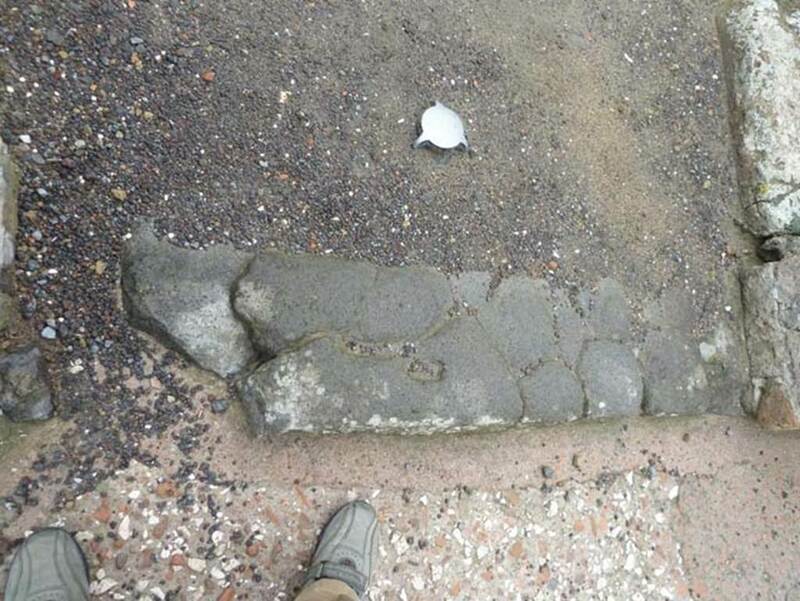 III.18 Herculaneum, September 2015. 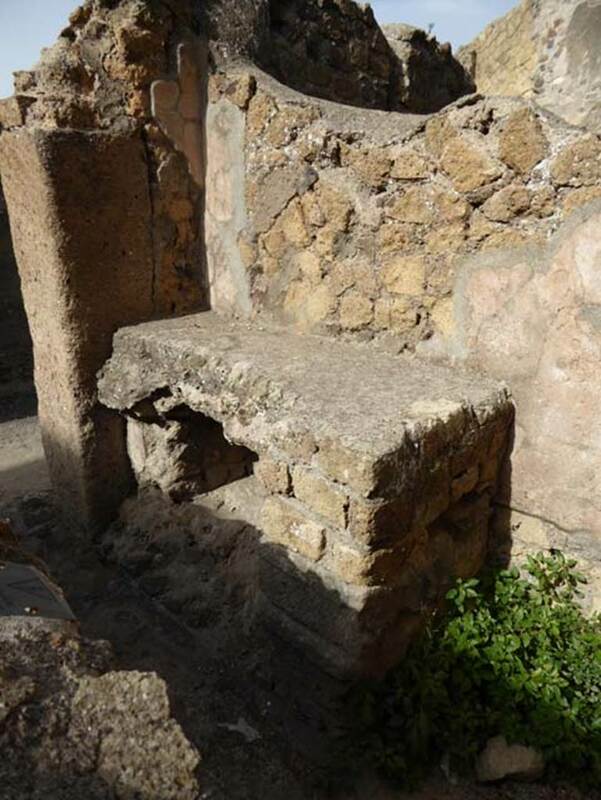 Latrine at north end of small bench/hearth. III.18 Herculaneum, September 2015. Looking west along room 37 from entrance doorway. III.18 Herculaneum, September 2015. Looking west through doorway into room 40, and through doorway into corridor 42. 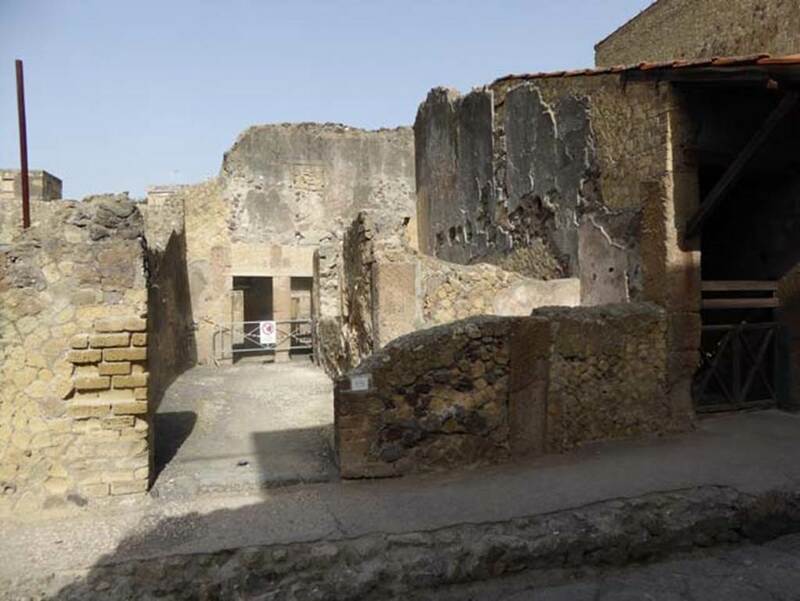 III.18 Herculaneum. October 2014. Looking west across room 40 towards corridor 42, on left. Photo courtesy of Michael Binns. Looking west through room 40, across room 41, and into room 43, from entrance doorway. 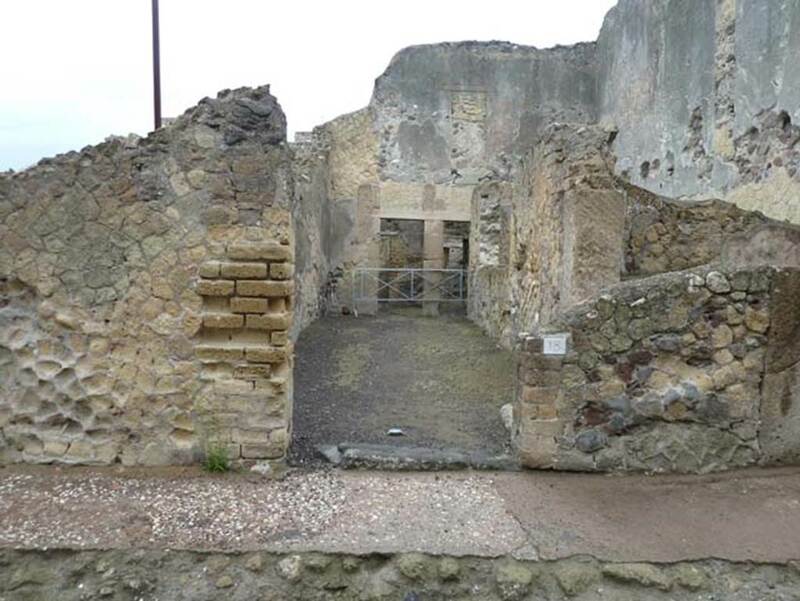 III.18 Herculaneum. October 2014. Looking west across room 40. Photo courtesy of Michael Binns. III.18 Herculaneum, September 2015. Looking west through room 39, through doorway to room 41.